Thanks to a break in the cloudy coverage, the Virtual Telescope pointed Messier 82 and its supernova SN 2014J very early on 13 Feb. 2014, few nights after the last visit. 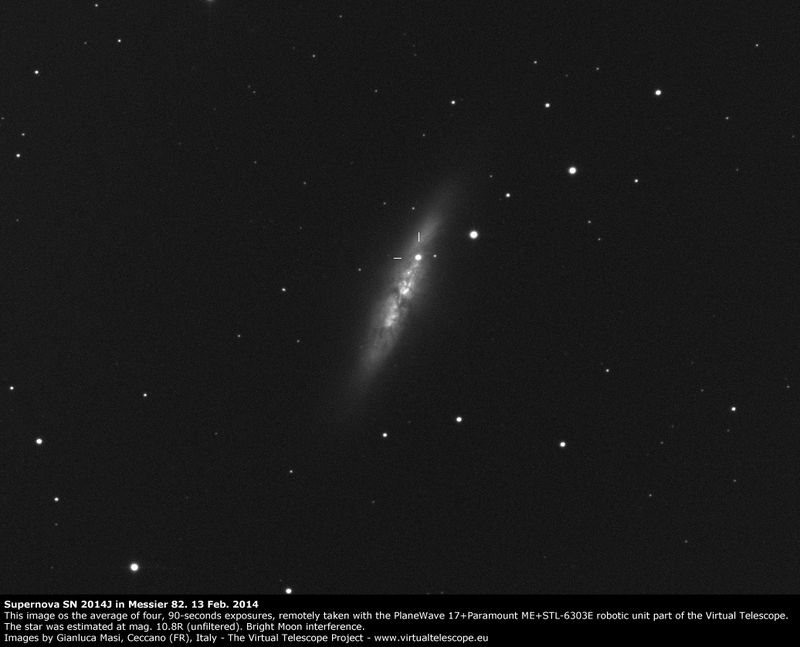 Above is an image, remotely taken with the PlaneWave 17″ robotic unit: the supernova was found at mag. 10.8, unfiltered, based on R-mags for the reference stars. It is significantly fainter that on last 4 and 5 Feb..